TMX is the first international conference in México dedicated to typography, design and new technologies, and the first big typography conference wholly dedicated to female designers! TMX Tipografía México: es la primer Conferencia Internacional en México dedicada a la Tipografía, Lettering, Diseño, y Tecnología. 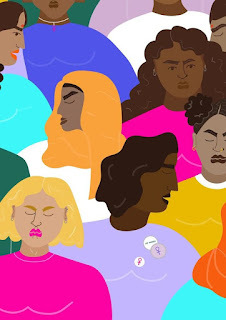 En esta edición “The Future is Female” descibrirán el potencial del movimiento tipográfico liderado por mujeres mexicanas con proyección Internacional. Nuevos talentos Mexicanos haciendo Tipografía. Líderes internacionales compartiendo y educando a nuestra comunidad. LLAMADO A PRESENTACIONES: El comité de TMX Tipografía México los invita a proponer presentaciones de su trabajo en las áreas de Diseño, Lettering, Tipografía, Editorial, Web y Apps. Women’s pivotal role in the development of type design is little known. 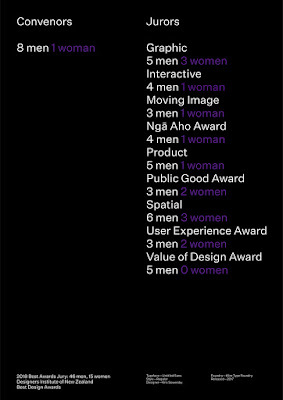 Prof. Fiona Ross and team aim to change this, with an in-depth study of women in type-drawing offices, 1910–90. How will we queer design education without compromise? As educators, the design canon is often the foundation of our practices, but it is inherently reliant on impenetrable binaries. 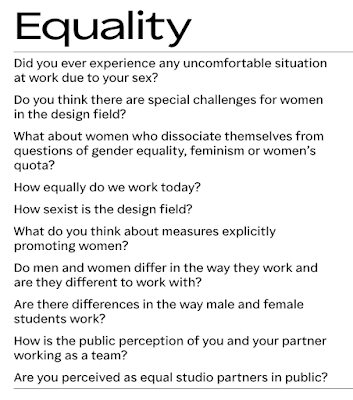 What would a queering of design education look like? What would a pedagogical approach that emphasizes asking questions instead of problem solving consist of? How can we understand designers as bodies in space, with agency, instead of simply “creatives”? And how can we understand bodies of text as living things that produce difficult conversations, instead of simply “content”? In the age of capitalist innovation and professionalization, our focus cannot only be about best practices, creativity, and collaboration. 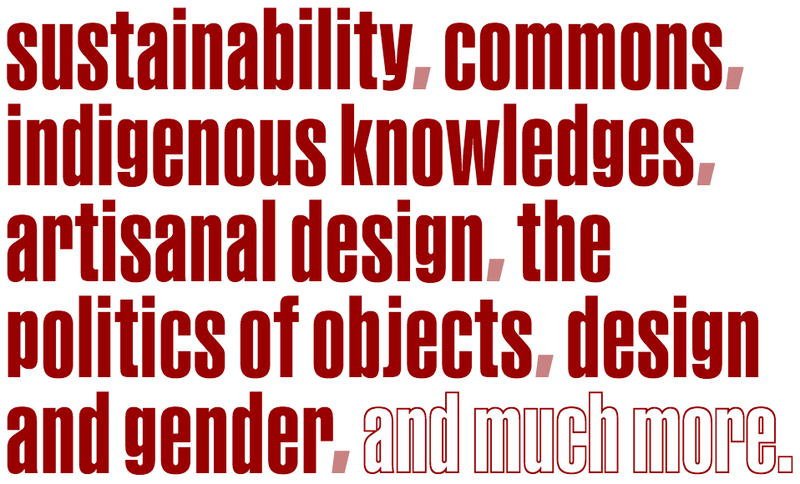 A queering of design education is an opening, an unclosable gap. We must critique our own critiques. We must embrace a multiplicity of perspectives. We must reimagine the past in service of the future. We must cannibalize the canon. We don’t know what these structures might look like and they too will change, but we must go into the unknown, together. 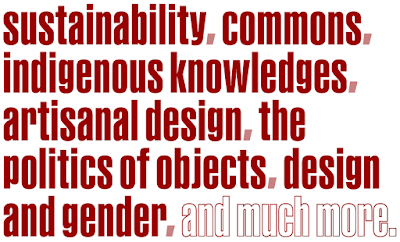 Design has always held the potential to communicate feminist values. Through the transition from a messenger to a creator of content, designers now have more possibility to shape these values than ever before. Jihee Lee is a Korean graphic designer who studied and works in Germany. She worked on the normalization of stereotypes and racism, in everyday life, but also in visual culture. For instance on the famous website dafont, with categories such as Foreign Look and subcategory Chinese, Jpn which represent a very stereotyped, Western, view of Asian fonts and culture. Together with So Jin Park, she created I AM ANGRY!, a website and design project which alerts to the racism and discrimination in daily life against Asians and people of color. 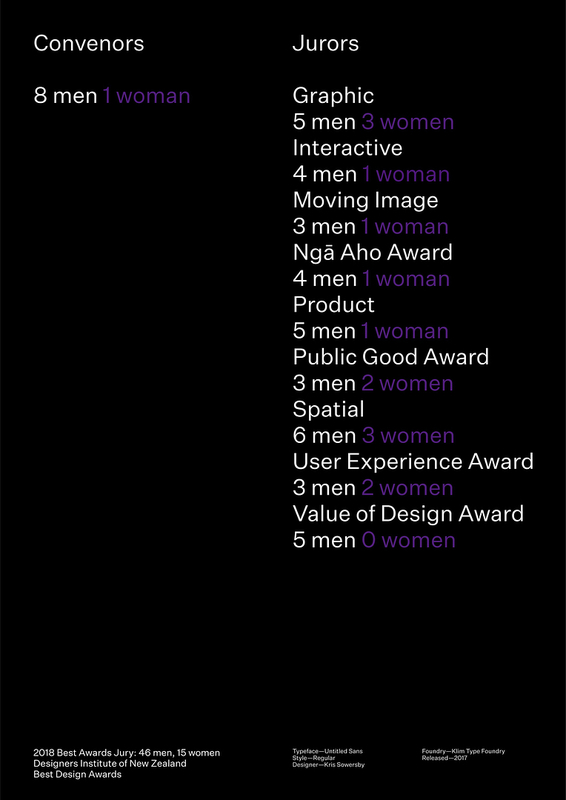 This set of posters by Catherine Griffiths highlights the unequal balance between male and female designers in the Designers Institute of New Zealand's Black Pin awards. Fiona Ross and Alice Savoie will introduce a significant new University of Reading research project funded by the Leverhulme Trust that draws on their experiences as type designers and historians. Fiona and Alice will describe how this interdisciplinary research project will provide the first socio-historical analysis of women’s role in the male-dominated British type-manufacturing industry during the 20th century. The project examines the positions women achieved and their responsibilities in the type-drawing offices of the British companies of Monotype and Linotype, at a time when the industry was transformed by external socio-historical factors and significant technological developments. The research team, which includes Helena Lekka, examines this subject in three interrelated ways: in terms of social history; in relation to technological developments; and in terms of contributions to typeface design. 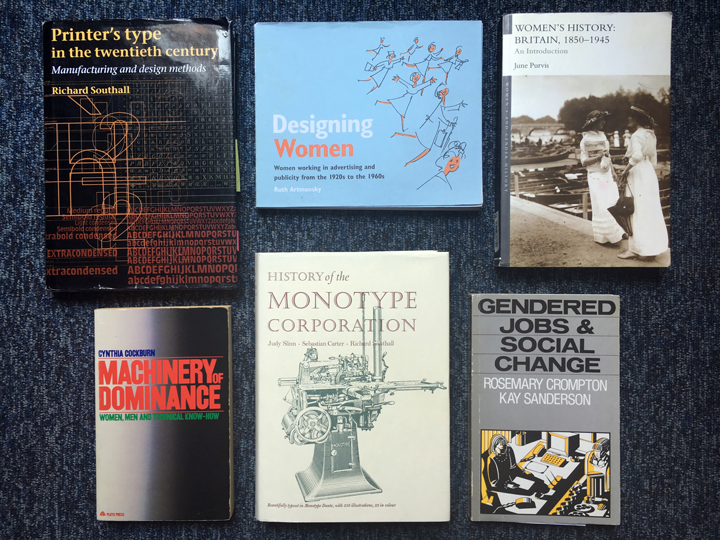 The talk will illustrate how, through archival research and interviews, an account can be recorded of the largely overlooked, yet pivotal, involvement of women in the type design process. The research project aims to make a significant contribution to social and design histories, while informing current design practitioners. Visit the After School Club's website. 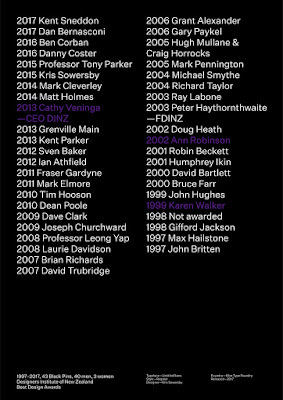 In 2016 Jane Connor sent an online survey out to stakeholders in the graphic design industry in Australia, asking them to list women who had made a significant contribution to graphic design in Australia since 1960. 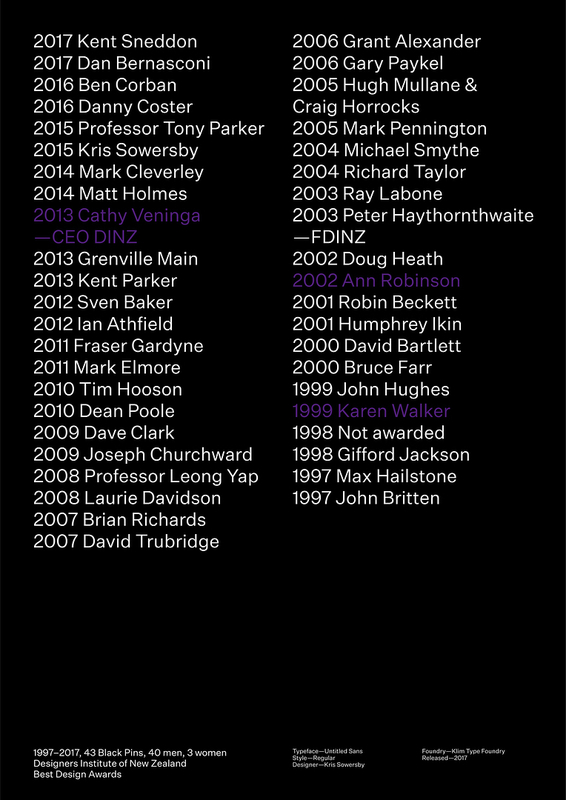 142 names were listed and the top 25 most mentioned women were approached to take part in this project. The afFEMation project stems from her belief that designers included in the history of Australian graphic design should be measured by their local influence rather than by their connections abroad, Connor writes in a post on Eye Magzine's blog. 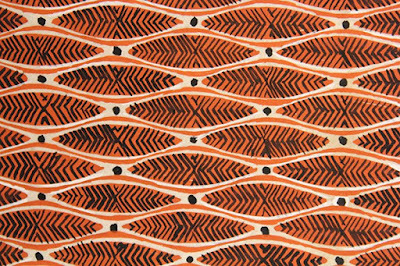 Ditchling Museum of Art + Craft presents the story of outstanding artist, designer and typographer Elizabeth Friedlander. The work of Friedlander (1903-1984) is instantly recognisable as mid-20th century design at its best, but few will know the name behind the art. Best known for her Penguin book covers and Bauer Type Foundry typeface ‘Elizabeth’, the exhibition touches on her escape to London from 1930s Nazi Germany, friendship with her sponsor – poet and printer Francis Meynell – and her work with a wartime British black propaganda unit. The show includes rarely-seen works from the artist’s compelling career including type design, wood engravings, decorative book papers, maps and commercial work. The exhibition is co-curated by video artist and author Katharine Meynell, grand-daughter of Francis Meynell, who recently shone a light on Friedlander’s little-known story by writing and producing ‘Elizabeth’, a film about the artist. And She Was Like: BÄM! 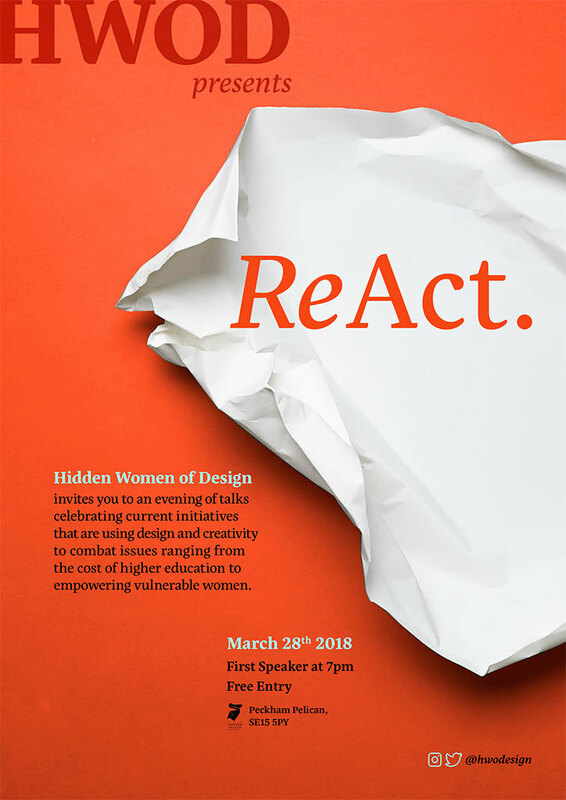 Hidden Women of Design is an initiative aiming to increase the visibility of female designers in the industry, through talks, workshops and events. Read what founder Lorna Allan has to say about it on It's Nice That. We Are Here: British BME Women is an artist-led and artist-run platform created by Erin Aniker and Jess Nash who met at university. The aim is to provide an open platform for discussion around what it means to be British, led by BME women. The increase in anti-immigration rhetoric since the referendum to leave the EU last June makes the project particularly poignant. Initially starting out as a standalone exhibition at Alev Lenz Studio in Shoreditch (July 2017), it featured a mix of fourteen handpicked, established and emerging British, BME, Women artists, creating artwork that explored their dual identities and heritage. Erin and Jess were overwhelmed with the response to the exhibition so they decided to turn this into an ongoing project and platform, going on to work with Dulwich Picture Gallery and now LSE Library. 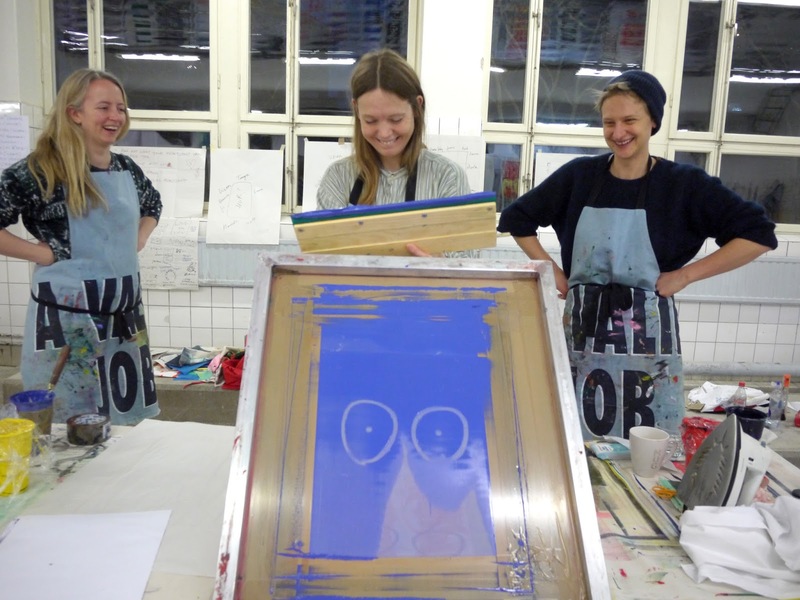 ‘The Women’s Design + Research Unit (WD+RU) was founded in 1994 with the intent of raising awareness about women working in the field of visual communication and design education. WD+RU has never operated as a commercial studio but functions more as a collective, collaborating with students or design professionals who join the core team of Siân Cook and Teal Triggs in the realisation of self-initiated projects or responding to specific project invitations. A project focused on exhibiting the contributions of women in graphic design and exploring issues of gender-equality in education provided by design institutions. 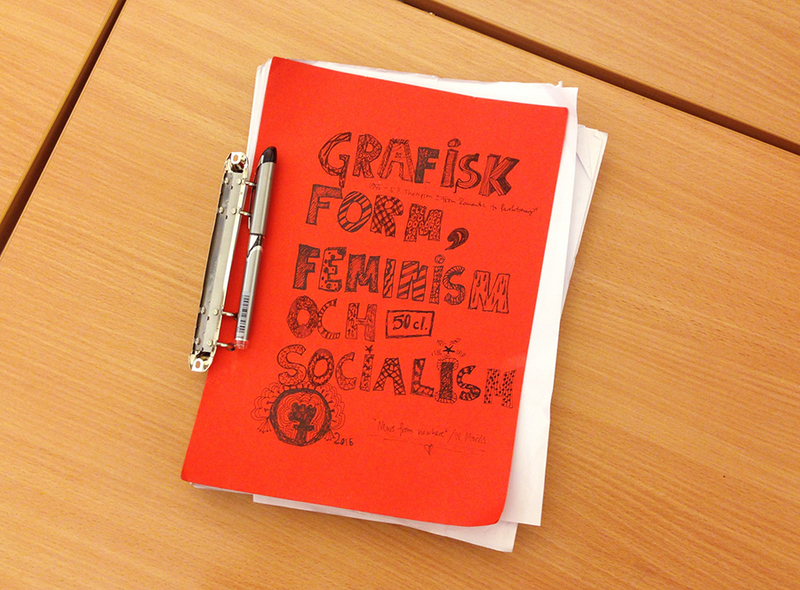 Silva Baum, Claudia Scheer and Lea Sievertsen speak with female graphic designers about the issues they face. Essential reading! Role models are very important if young women are to dare to enter the world of typography. 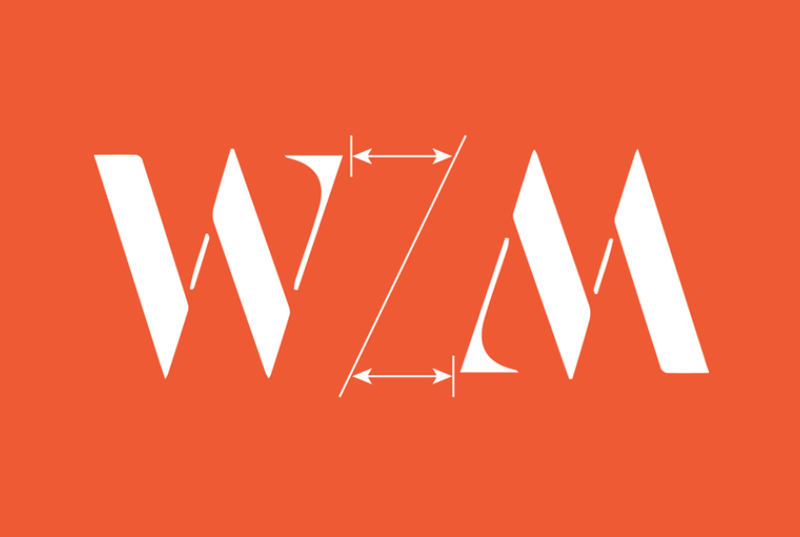 Typequality is a platform for discovering and sharing typefaces designed by women, a tool to recognize and get the word out about female typographers and their typefaces. Here, together, we can gather the many skilled female type designers and their designs. 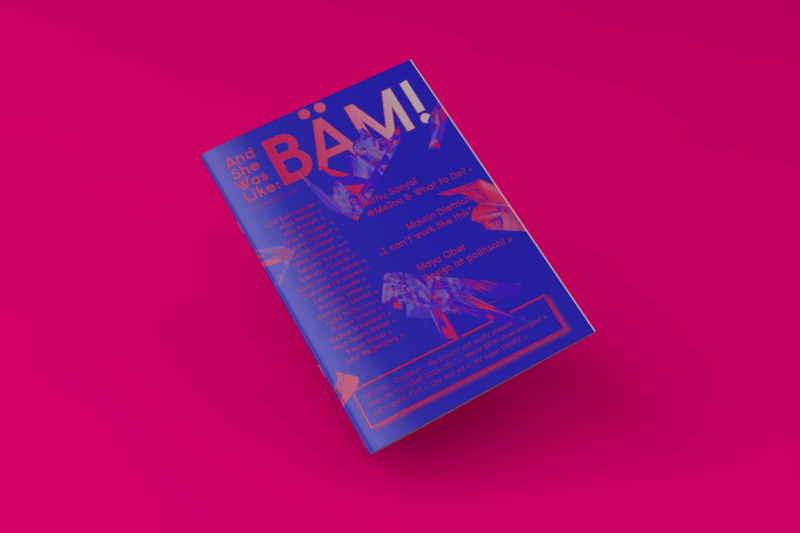 Typequality is the subject of Kimberly Ihres graduation project for Beckmans College of Design. The project consist of this website and a typeface of Kimberlys own design, Typequality font. While going through their archives, the Type Directors Club discovered that Beatrice Warde was its first female member. To honor her memory, the Type Directors Club has named a scholarship after her. 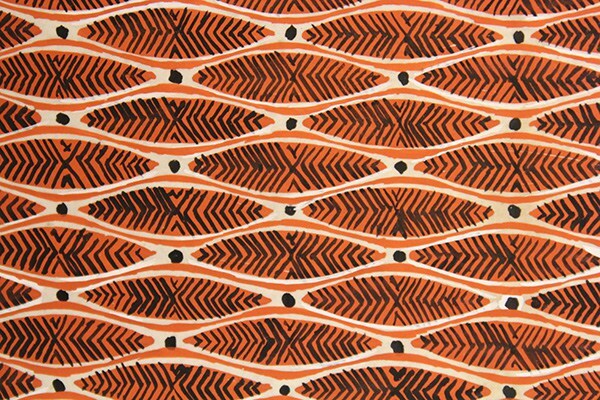 Beatrice Warde (1900-1969) was a typographer, a writer (sometimes under the pseudonym Paul Beaujon) and expert of typography, a teacher, and the editor of the Recorder and the Monotype Newsletter. She is famous for her essay on typography “The Crystal Goblet”, first delivered as the speech “Printing Should Be Invisible ” in 1930. The criteria for the scholarship extends across disciplines from design criticism to type design and graphic design, since Beatrice Warde was a writer and educator who helped promote Monotype products. 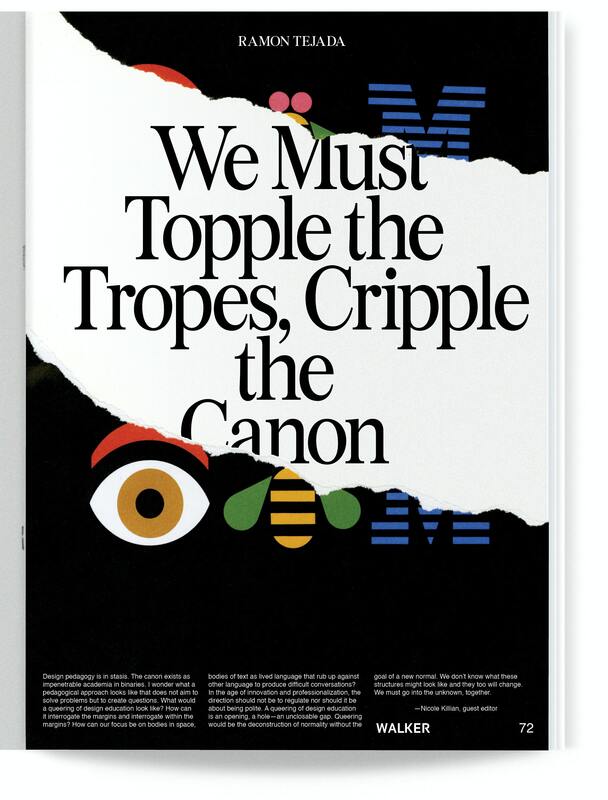 Just as Beatrice encouraged the best use of technology, the candidate’s work should demonstrate the application of typography to current media, not only print. The deadline for students to submit their application and samples is February 23, 2018. 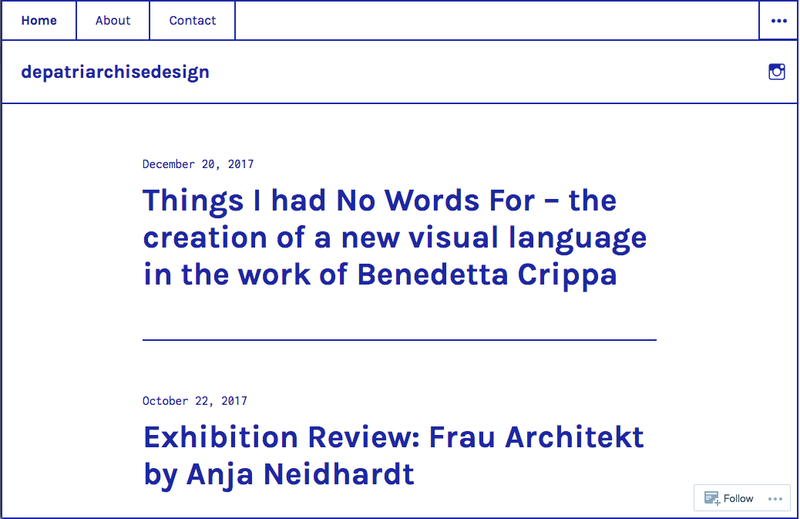 This blog depatriarchise design is a space examines the condition of the contemporary design through a feminist perspective. The feminist voice is nearly unheard within the field and has been systematically silenced and marginalised. 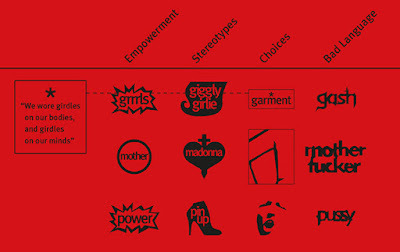 The imbalanced power relation between the genders in the industry, strongly encouraged by the main stakeholders, created a distorted reality in which the chauvinist, heteronormative, ego-tripped, white, male “star designer” model had been successfully introduced and has been maintained ever since. Beyond Change is a conference questioning the role of design in times of global transformations. 22 sessions and workshops addressing topics such as: sustainability, commons, indigenous knowledges, artisanal design, the politics of objects, design and gender, and much more. + Building Platforms: An intersectional space for decolonising, depatriarchalising, and deprecarising the conference from within. 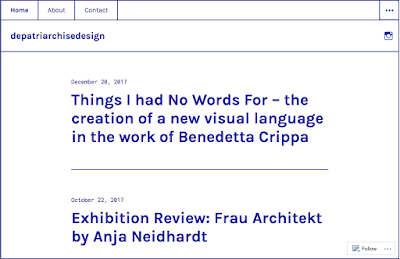 During the three days of the conference, the foyer of the HGK FHNW will be inhabited by three design platforms that each problematise the role of design from within the discipline itself: Decolonising Design Group, Depatriarchise Design, and Precarity Pilot. 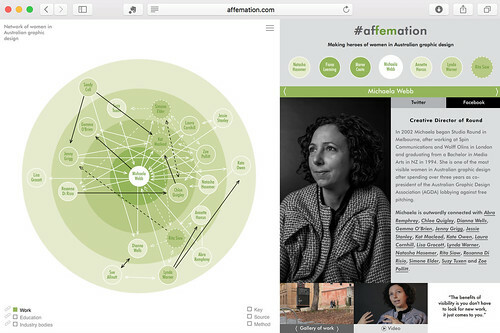 With the aim of fostering an intersectional debate on the politics of design within practice, theory, and academic research – with particular focus on race, ethnicity, gender, and class – the three platforms will collectively activate a given space – a single two-storey scaffold of the kind used in civil construction. + Screening: Donna Haraway: Story Telling for Earthly Survival, a film by Fabrizio Terranova. 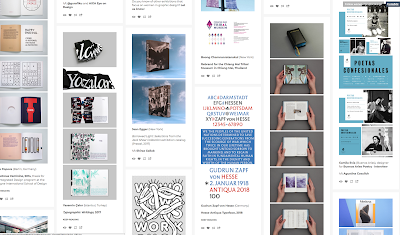 MMS is a group of graphic designers (Maryam Fanni, Matilda Flodmark, Sara Kaaman) collaborating since 2012 on investigations and writings on visual culture with a feminist ground. 'I Don't Know Her Name, But I Know Her Work' is a display of graphic design by current students of Central Saint Martins along with work from alumni and staff of one of its predecessor colleges, the Central School of Arts and Crafts. This display coincides with The London Transport Museum exhibition Poster Girls: A Century of Art and Design, which features many female designers who studied or taught at the Central School. Current graphic design students have each selected a piece of work from the Central Saint Martins Museum & Study Collection designed by one of the Central school designers featured in Poster Girls, and made new work in response. This new work is influenced by the methods and materials used in the designs selected from the Museum, as well as the wider context surrounding these designs. 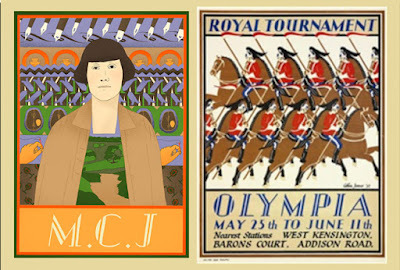 As with the Poster Girls exhibition, a particular concern is the lack of representation of women in graphic design history. 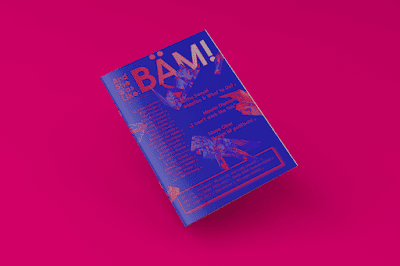 Students taking part in this project are questioning the lack of diversity in graphic design history and calling for a more inclusive approach. An illustrated journey through the exhibition Poster Girls by co-curator David Bownes together with author Susannah Walker and Central Saint Martins Lecturer Ruth Sykes, revealing the historical and social context of the times in which key female designers were producing their work. 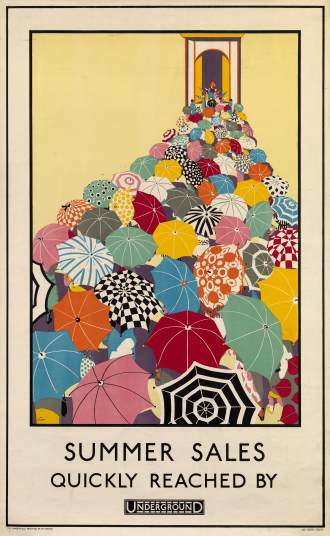 Exhibition of female artists who have worked for London Transport and Transport for London including well-known designers, such as Mabel Lucie Attwell, Laura Knight, Enid Marx and Zandra Rhodes, alongside lesser known individuals who nonetheless changed the way Londoners viewed their city.